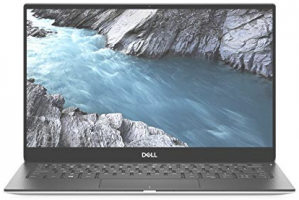 Dell XPS 13-9380 NoteBook Laptop Comes with Windows 10 Home 64-bit Operating System, 8th Generation Intel Core i7-8565U processer ticking at Upto (8MB Cache, up to 4.6 GHz, 4 cores) clock rate, 16GB LPDDR3 2133MHz Memory Upto 256GB M.2 PCIe NVMe Solid State Drive internal storage. Dell XPS 13-9380 NoteBook Laptop also has DTS Sound,Integrated stereo speakers, Dell True Vision web cam, Microphone, Full-size island-style backlit keyboard with numeric keypad. The Laptop has 13.3 inch screen size, Height: 0.3- 0.46 (7.8mm – 11.6mm) x Width: 11.9 (302mm) x Depth: 7.8 (199mm) Physical Dimension and 2.7 lbs (1.23 kg) and 52WHr battery.